Wisconsin is among one of the hardest hit states by the opioid crisis. Yet, for five years in a row, Wisconsin along with every state in the U.S. has seen a continuous drop in opioid prescriptions. Still the number of people who die from opioid overdoses continues to climb. This is all part of a national trend captured in a recent report from the American Medical Association. In 2016, there were 865 opioid-related overdose deaths­­­ in Wisconsin — a rate of 15.8 deaths per 100,000 persons — compared to the national rate of 13.3 deaths per 100,000, according to the National Institute on Drug Abuse. Since 2010, heroin overdose deaths have increased from 92 to 389 deaths, a more than fourfold increase. 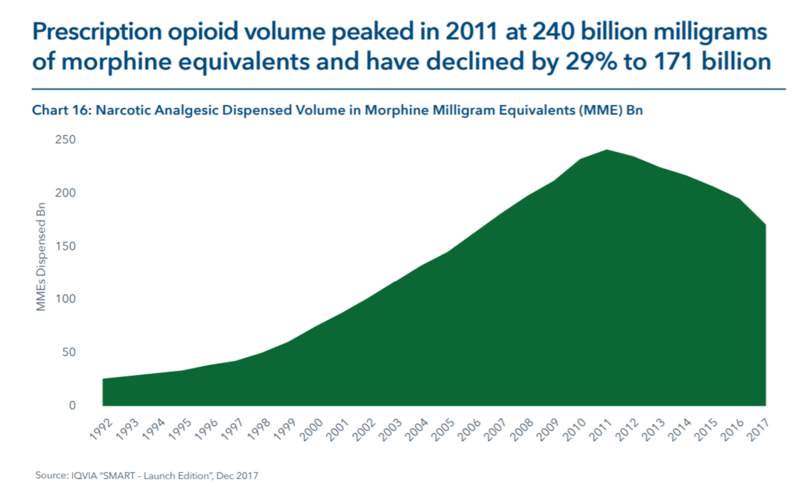 Deaths attributed to synthetic opioids, mainly fentanyl, increased similarly from 66 to 288 deaths and deaths due to prescription opioids increased from 285 to 382 deaths. As opioid prescriptions decline, prescriptions for naloxone, the drug that reverses an opioid overdose, more than doubled in 2017 nationwide. The upward trend has continued through 2018, with a record-high 11,600 prescriptions dispensed every week as of April. Yet many who are revived from an overdose are not getting plugged into treatment. A study published last week in the Annals of Internal Medicine found that among more than 17,000 patients in Massachusetts revived from an overdose, less than a third received follow-up medicine to treat addiction. While the discussion about solutions tends to focus on tangible changes — more beds, more providers — Shah said everyone can help reduce the stigma associated with seeking help for an opioid addiction. This story was produced by Side Effects Public Media, a news collaborative covering public health, with editing by Shereen Siewert at Wausau Pilot and Review.